Like Every year, this year also Google I/O kicked of in style and there was plenty of surprises in the store. And its worth following even if you are not an Android fan. The things Google unveiled today has taken the future of smartphones and wearable to a complete new level. So let’s have a quick glance on what was on the table that Google has to offer to his users this time around. Google AI efforts are making huge improvements in the fields of healthcare. Technology has brought diagnosis to places where doctors are scarce. Even where doctor’s are there, machine learning is helping them out in picking up things that human can’t pick. It is helping Doctor’s with prediction of medical events. Look to Listen, a machine learning technology can improve closed caption for user with hearing impairment. Google to Publish paper on – How AI changing the medicine field. Morse code is now available to all with Gboards (Beta). Google now using new liquid Cooled processors in their data centres for better AI. Google is adding food ordering and delivery service and has teamed up with the likes of Dominos, Starbucks and others. Gmail now comes with a new feature Smart Compose,, which uses machine learning to suggest phrases to the user while a user is typing. You just need to hit tab on Desktop to autocomplete Gmail’s suggestions. This option will be available to all users later this month. This is Google’s smart move against Siri (which is still restricted to spelling corrections). This is a a new feature added in photos using AI. As the name suggests, it suggests the action you might want to take on a photo. And this can be done with one tap. Options to convert images of a document into PDF and make it look like a scanned copy. Option to add colors to vintage black and white photos. (I personally like vintage photos in Black and White). Google Assistant – Google’s most impressive AI tool. 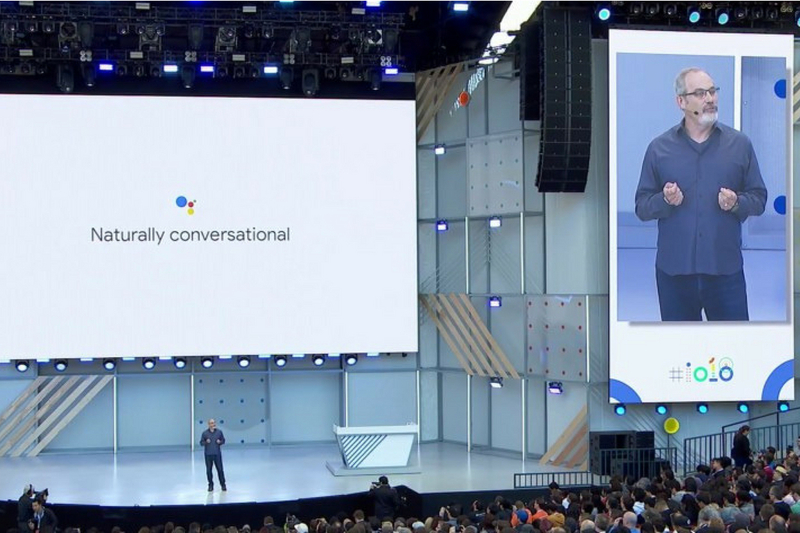 Google using Wavenet technology to make Assistant’s voice more natural as voice is how most user interact with Google Assistant. 6 new voices added to Google Assistant. Assistant now available on more than 500 million devices. Now no need to “Hey Google” Again and Again from now onward. Assistant will keep listening to you. Google introduced Continued Conversation in Assistant where assistant can handle back and forth conversations. Assistant can now book an appointment for you without your assistance and can handle the discussion gracefully. Assistant understand questions, react to changes and then ask relevant questions. That is the power of AI. A new section added called – Newstand. The purpose is to find sources you love and might be interested in and then follow them. Newsstand is a challenger to Apple News app. Full coverage with all the news without personalization so that you don’t miss out on anything. List of common questions with answer for better user Experience. Get better story and content using NewsCast. One click subscription as it is connected to your Google account. Android is 10 years old now. Next Android version is Android P and it is an important step toward vision of AI at the core of the OS. Android P uses AI and ML to make the life of the user easier. Adaptive Battery – which uses on device ML to maximise your battery life by reducing CPU usage of the apps you won’t be using. Better auto brightness by taking into account your personal preference and ambient lighting. Predict Actions and apps based upon your usage pattern and provide faster and easier access. Google launching ML kit for easier integration of ML in the apps than ever before. Dashboard to showcase exactly how much time you have spent in each app and the time spent on a particular feature. Better control over apps. For instance, set a time of your usage for Facebook and Android will let you know when you are running out. Shush – New gesture for DND. Place your phone face down and DND is enabled automatically. Wind Down mode which makes the screen complete Grey so there is no eye catching color on the screen and you are better engaged. Next was Google Map and they have done some serious up-gradation in this. A new updated version of Google Map will keep you updated about the new changes happening in the area you care about. “For you” tab to keep you updated of new opening and personal recommendation in places you have visited. “Your match” tab with scores from Google on the recommendations suggested using ML. Create list of places you want to visit by long tapping on search result. Map Improved with camera integration. 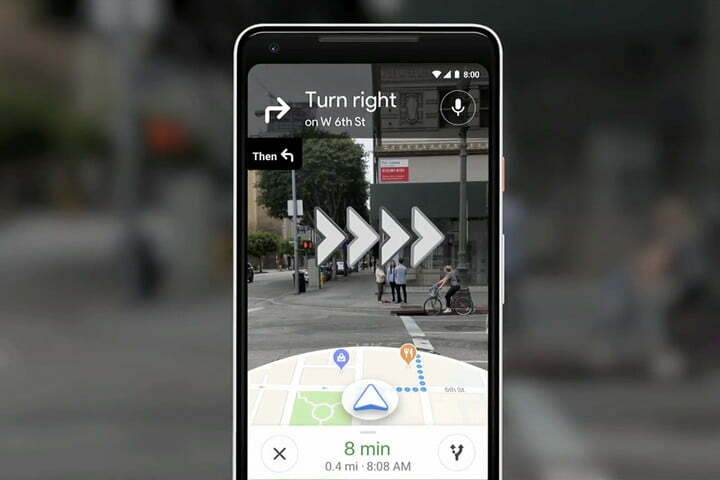 Hold your phone in-front of you and map will make overlay walking directions. Addition of VPS for better location identification of an end user. The era of Virtual Reality is here and Google is making it true. 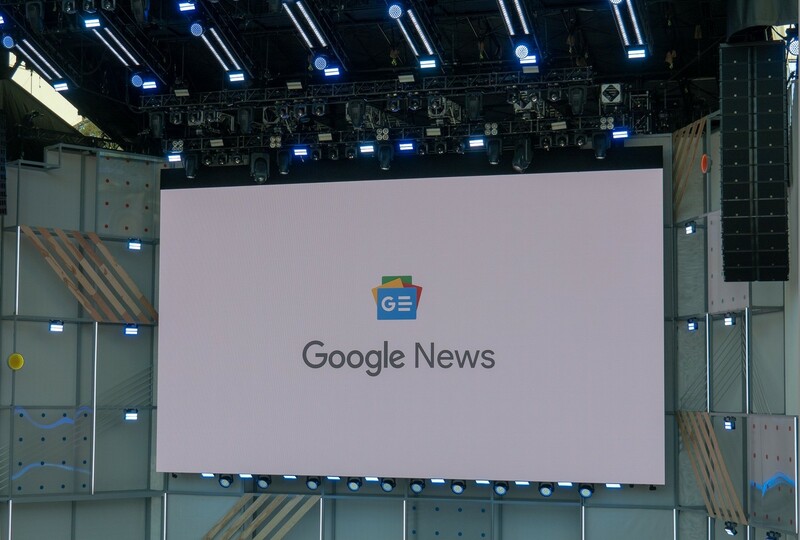 Google lens is now integrated into the camera app. Lens now recognise and understand word. Now point lens on a physical document and copy/paste the text. This is just insane. Point lens on a Restaurant Menu, tap a dish and Assistant will help you with all the details. Point lens on a decor object and find other stuff that matches the style. All these features will be out in next few weeks. Google is working to make self driving cars more safer and accessible. Google working with Waymo cars for this. Self Driving Waymo cars are already in place in Arizona and people are enjoying it. Waymo uses AI to make self driving safe. Waymo designed to deal with snowstorms when it’s even harder to detect real world objects. Self Driving is surely going to be a reality soon. And that’s was all for this year. 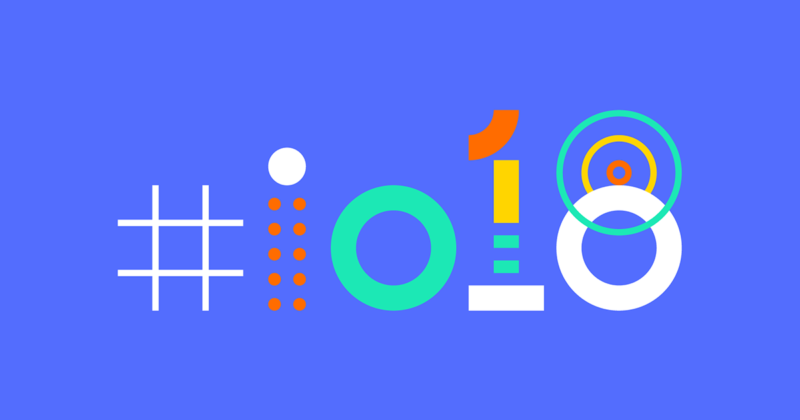 It’s all about AI and ML in this year Google I/O. No mention of Wear OS or IOT as many fans were expecting. Hope you have liked this article. Do like share and comment.